Now that the last day of class has concluded, all grace periods for all major project assignments and discussions are over. I am currently closing all of the open assignments and discussions. The Final Exam is due by 11:59PM on Monday, August 14. There is no grace period for the Final Exam. I am grading work withing 24 hours of the time it is submitted, so you should have feedback on your projects in the next day. Please remember to complete the SPOT Survey and include it in your Final Exam as evidence of your work in the course. 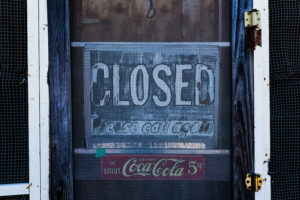 Photo Credit: Closed – Please Call Again by Tony Webster on Flickr, used under a CC-BY-SA license.